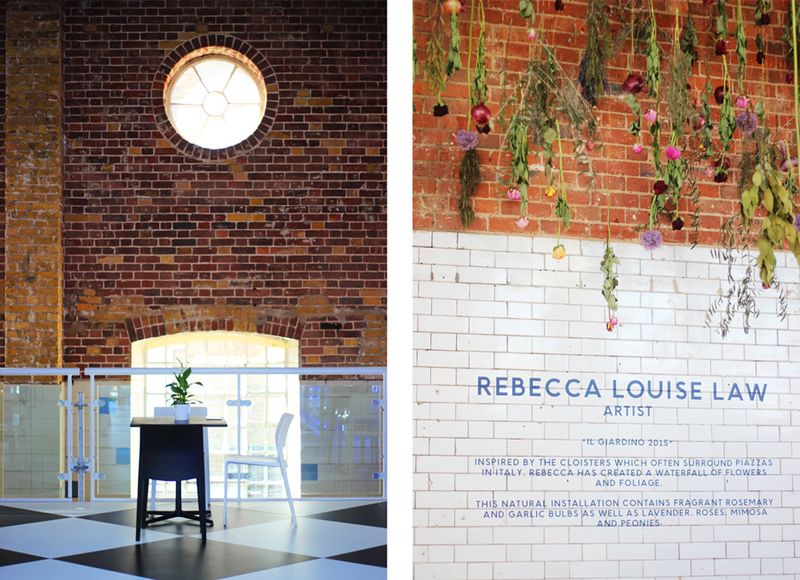 A slice of Italy comes to East London with The House Of Peroni's latest residency - La Piazza at 152 Brick Lane. 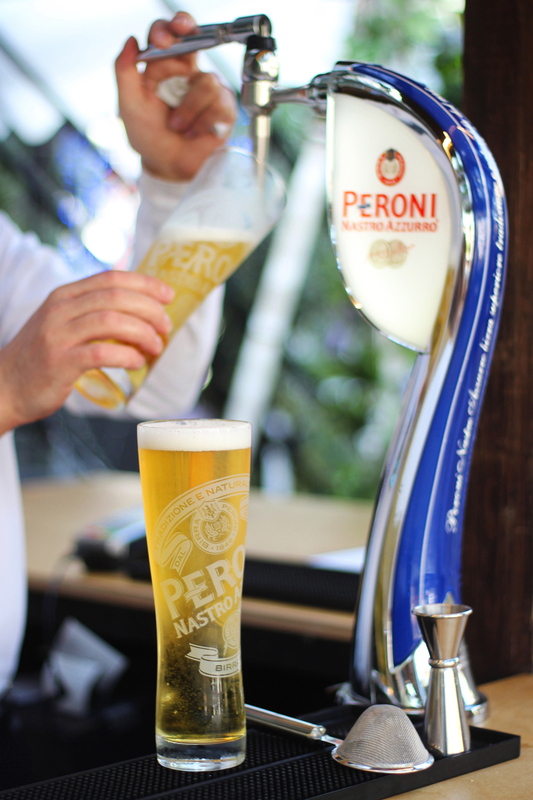 Another season, another residency by The House of Peroni. 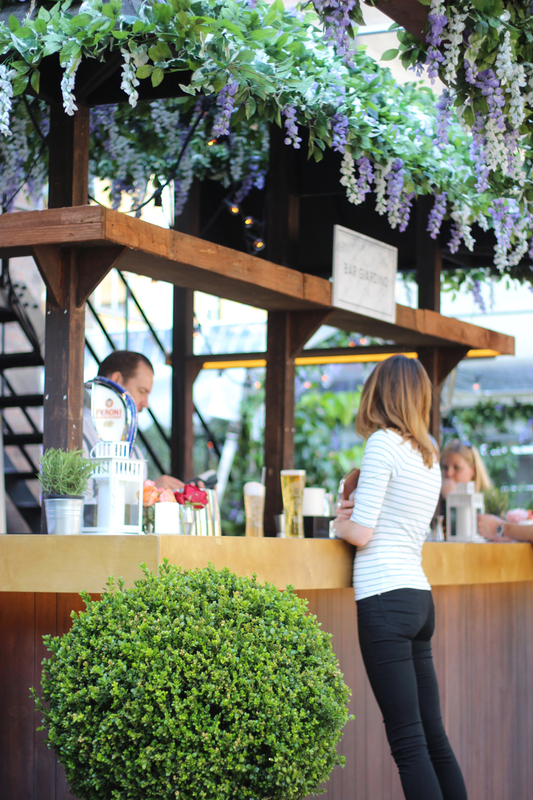 Last autumn and last spring, The House of Peroni took up residency in a Lincoln's Inn Field townhouse with art installations, restaurants, and bars occupying each floor. This year, Italy heads East with a new month-long residency in The Old Truman Brewery on Brick Lane. A 'blink and you'll miss it' door in the brick building, unremarkable but for a simple 'The House' sign leads you through a low arch into La Piazza. Hidden from the chaos of Brick Lane is a tranquil piazza, that quintessentially Italian hub of social life. 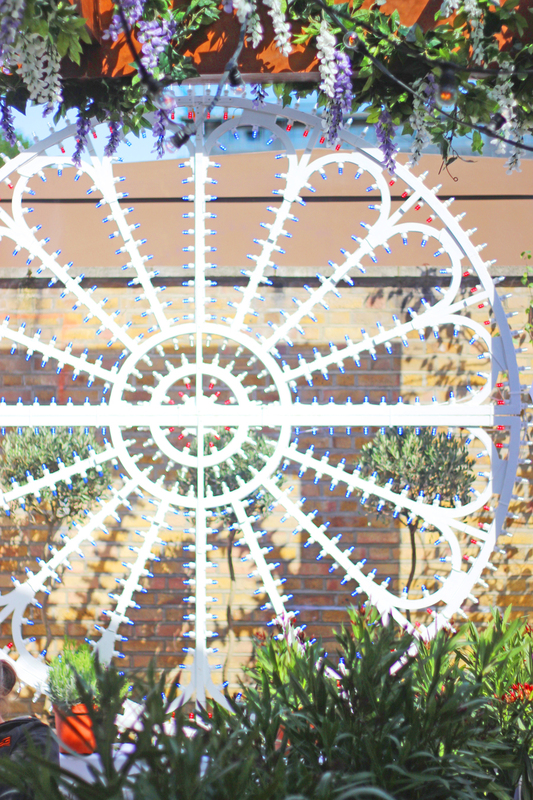 A metropolitan garden where life blossoms, a market place teeming with local fare, a natural amphitheatre where you can watch or be watched, a meeting point that transforms from day to night, to lose time and get lost. 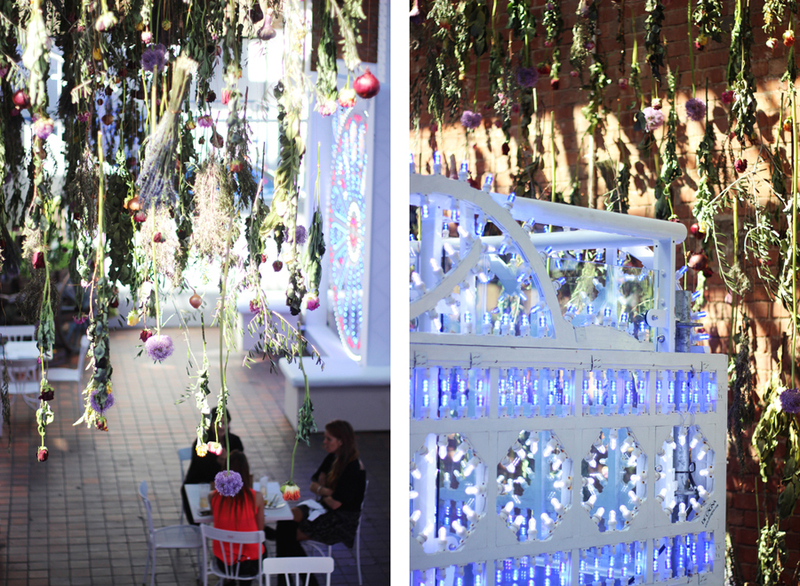 Yesterday I whiled away a peaceful afternoon in the garden - sipping Peroni cocktails and people watching, taking in Rebecca Louise Law's floral installation and contemplating Luminarie De Cagna's multicoloured light installations, before shopping for Sicilian cheese and chocolate at the grocery pop up. I missed the Saturday mixology workshops, but I'll be back at La Piazza for the Sunday screenings of iconic Italian films at private Cinema All’Aperto and for the Culture of Coffee events to sample Caffe Molinari's bespoke coffee menu! 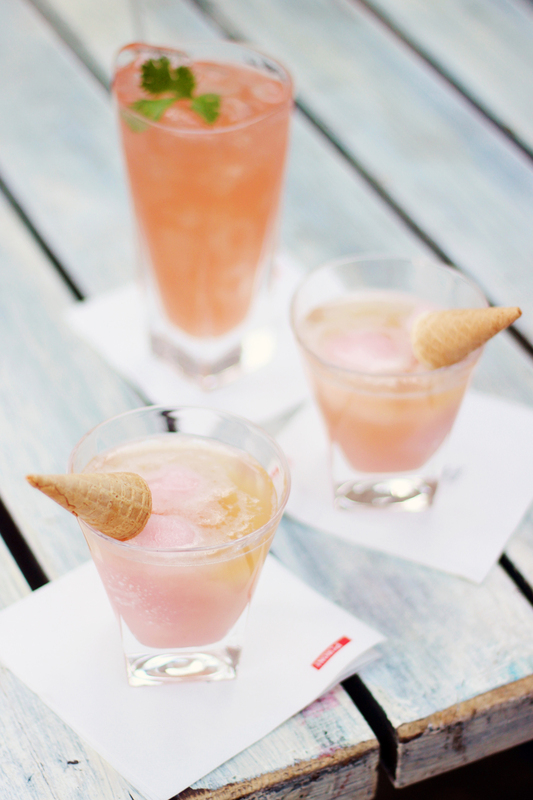 Of all the imaginative Peroni-infused cocktails my favourite is Nightwalk Gelato - a delightfully tart 'slushy' of lime sorbet and mescal, topped with Peroni and an ice-cream cone inspired by memories of crossing the piazza on a hot summer's day while enjoying a gelato with friends. Coming in at a close second is The Stolen Berries - raspberry and lychee sorbet topped with Peroni and rosewater; the thick, sweet, berry flavours reminiscent of abundant berry bushes of rural piazzas by Lake Como. Really lovely shots, what lens did you use? Ahhh Jasiminne, this sounds heavenly! I love an alternative cocktail - and that slushee sounds incredible! I just love how many pop ups there are in London! 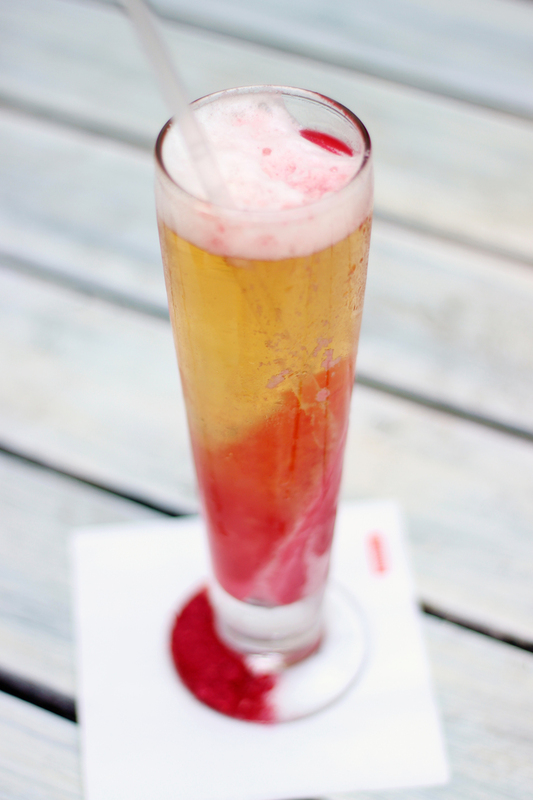 I'm not a beer drinker but Peroni infused cocktails are such an interesting idea!